Able to create and writer creative text, like ad jingles, taglines, and other creative copy, or more research-based copy, like a job description on a website. Bachelor Degree, major Journalism, Communication, Advertising, or other related major. Merah Cipta Media is one of the leading internet and advertising group company in Indonesia under Djarum Group that provides complete solution in branding, marketing, communications, technology and digital media strategy & execution for major industry players in Indonesia. 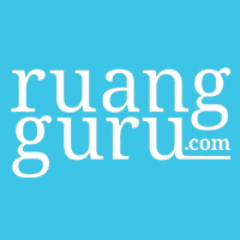 We have a deep passion to help grow rapidly the creative and technology industry in Indonesia. Our focus range from marketing, branding, entrepreneurship and internet. We are bringing all those key elements together and try to create a great digital and technology environment in Indonesia. These are the companies that working under our group Semut Api Colony, Kayu Api, Zout Production, Klix Digital, Ansvia, Infokost.id, Kincir, Mindtalk, DailySocial, Kurio, Beritagar, Merah Putih Incubator and Media X Asia.